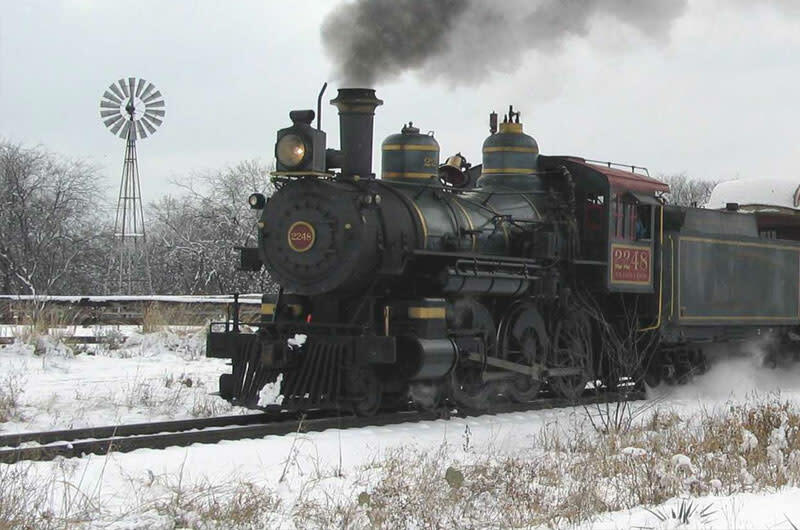 The Grapevine Vintage Railroad is a fun way to enjoy an exciting ride to the Fort Worth Stockyards on Saturday and Sunday year round. The schedule includes Friday during the summer. The railroad is serviced by two locomotives, including "Puffy" the 1896 steam locomotive, the oldest continuously operating steam engine in the South and "Vinny," a 1953 GP-7 diesel locomotive. The engines pull the Grapevine Vintage Railroad's luxurious Victorian coaches-four 1925 day coaches and two 1927 open-air touring coaches. All four day coaches have been restored to their full Victorian-era glory and the two open-air coaches are extremely popular in the spring and fall months. Please visit the website for all of the special events offered by the Grapevine Vintage Railroad.